For the past year I’ve been slowly learning more about the Yezidis, a beautiful and ancient religious tradition with roots in Southern Turkey, Syria, and especially northern Iraq. I’ve now visited their holy site of Lalish in northern Iraq twice, a stunning valley of white conical shrines that holds the tomb of Sheikh Adi, one of the holiest figures of the Yezidi faith who settled there with his followers in the 12th century. Both of the visits have been immensely moving. 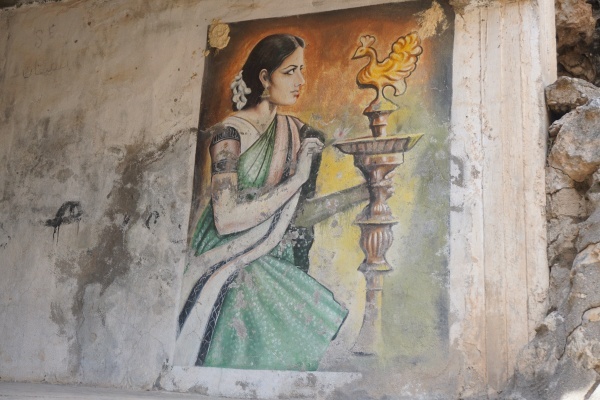 When Tawsi Melek came to earth, he landed in Lalish and gave the place his stunning, peacock colors—coloring the world in the process, and making Lalish the holiest place in the world for the Yezidi faith. 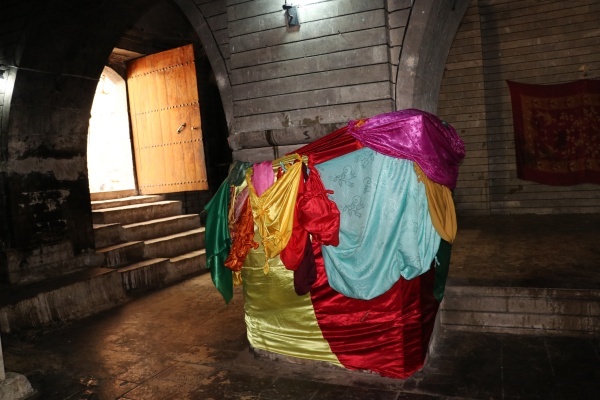 Today, thousands of Yezidis visit the sacred shrine during the annual pilgrimage festival of the Autumn Assembly, taking off their shoes because the entire valley is deemed holy. 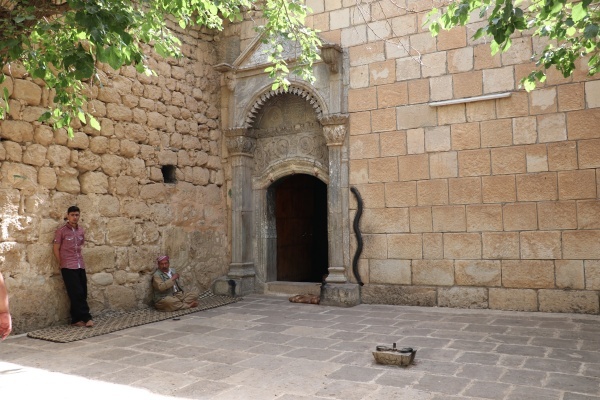 When I first visited the shrine, I was surprised to see a black snake carved into the wall next to the door. One explanation is that the black snake is revered, having crawled into the hole from which the flood of Noah was bursting forth, and saving the world in the process. Pilgrims step over the entrance before coming to a hall with many brightly colored fabrics, which pilgrims tie and untie—making wishes. 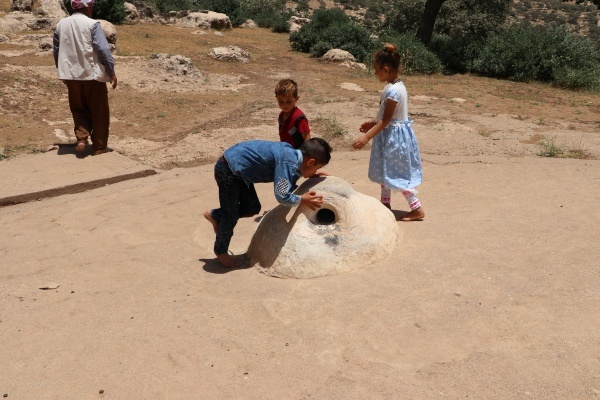 Further inside is the holy zemzem water, which Yezidis use for baptisms. The entire valley is sprinkled with shrines and holy tombs. Up the hill from the main shrine is Jebel Arafat, or Mt. Arafat, a small hill with a white circle known as the sign of Felek, that Yezidis kiss and then walk around ceremoniously. Beside it is the wishing tree, full of white pieces of cloth attached to the braches, symbolizing the wishes of pilgrims. When I was finished visiting the valley, I was invited to join the women at the guesthouse for a communal meal served by the temple. 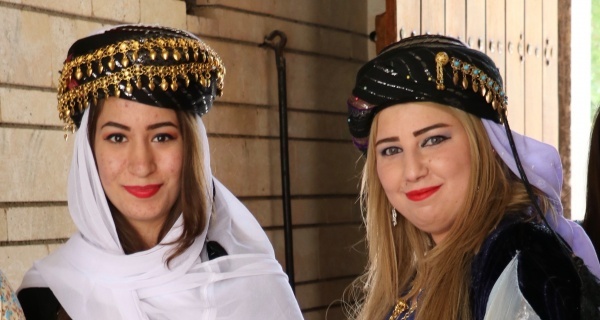 Many of them were wearing the traditional clothes of the Yezidis—the older women wearing long gowns with black tops, white scarves and headpieces. Some pilgrims wear these headpieces decorated with gold coins. Men where traditional Kurdish clothes, and famously have long moustaches. 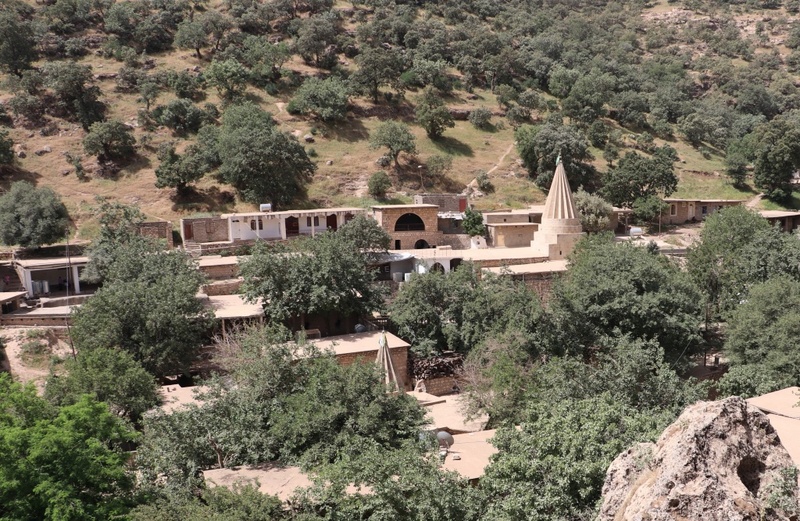 Today there is a sadness at the shrine, reflecting the current situation the Yezidis of Iraq find themselves in. 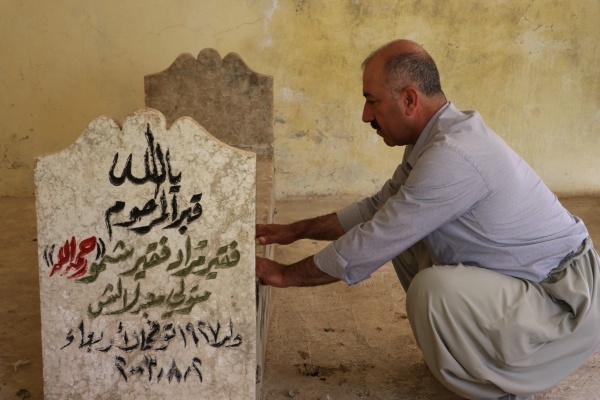 In 2014, the Islamic State killed thousands of Yezidis around Mt. Sinjar and took thousands of women and children as slaves—accusing them of being “devil worshippers.” The stories of what happened are terrifying. Today, many women remain missing. Tens of thousands of Yezidis remain displaced; many are trying to start their lives over again in Europe, Canada, and Australia, where they feel safe. 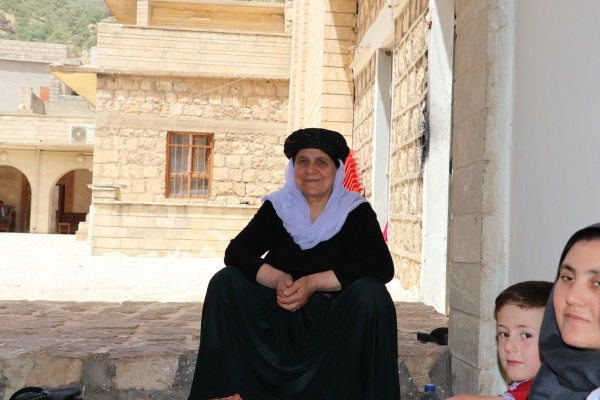 Yezidis do not marry outside of the faith—in fact they enforce a strict caste system. Their religion is largely oral, and passed on by holy men through story and song, and bound to the holy springs and sacred mountains of their ancestral homelands. There is a legitimate fear that this ancient faith will not be able to survive in the diaspora.